The piece has a casual contemporary look, with a warm medium Walnut frame. 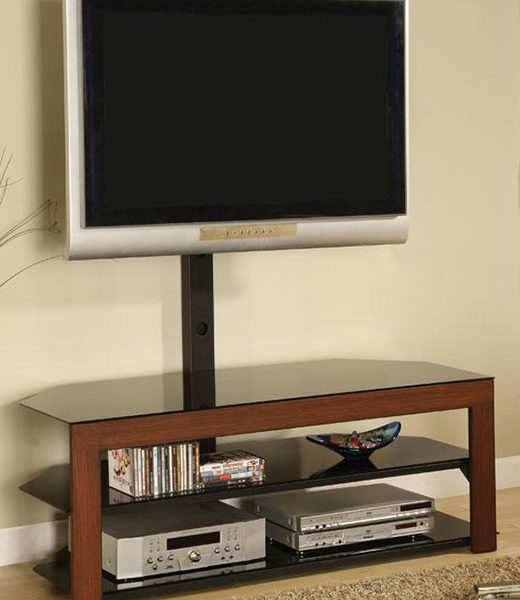 A generous top surface and two spacious black lower shelves offer lots of space for electronics components. 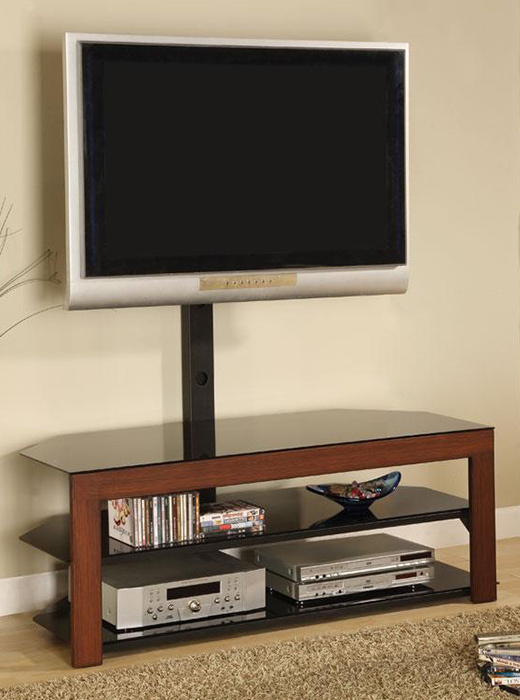 A bracket is included with this unit so you can mount your flat panel TV for simple and comfortable viewing.